A few sections (e.g. multiplayer lobby/chat, profile etc.) are outdated with the last update. Ingame stuff is up-to-date. Game guide will be updated soon. In the standard game mode the one and only goal is to capture the sector with the enemy HQ. As soon as the sector belongs to you, you win the game! If you loose the sector with your HQ, the game is lost. Therefore you should protect your HQ sector at all cost! There are other game modes (e.g. during the campaign) where you have a ThinkerBrain unit which you have to protect. 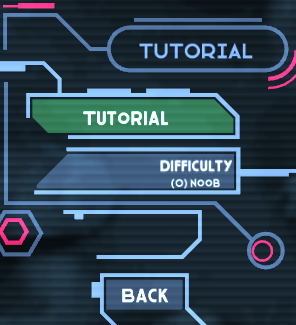 In those game modes the ThinkerBrain can enter HQs and the HQ only produced RoboBrains when there is a ThinkerBrain in the HQ. But you will be told about that during the campaign. Scroll the map by moving one finger while touching down. The scroll has some inertia so if you move while lifting the finger, the map will scroll a little further. Zoom the map by moving your fingers while touching down with two fingers. If you zoom out to a certain point the zooming will stop. 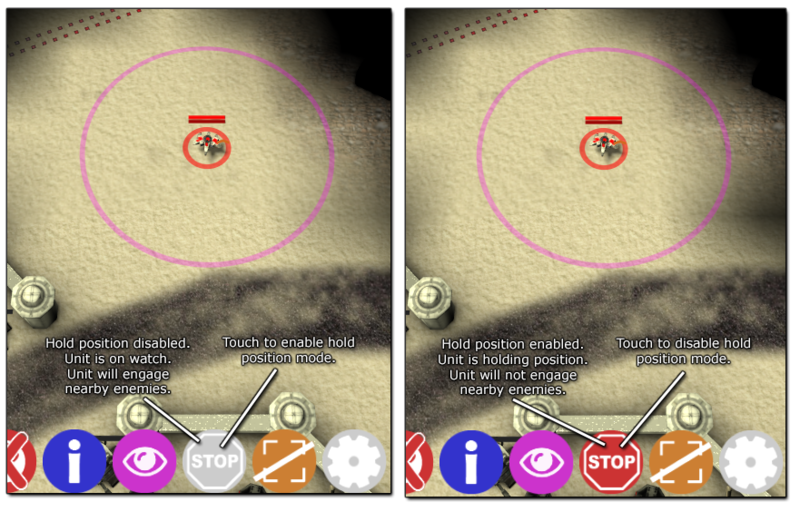 If you zoom out again from that point, the view will change to the strategic view (see advanced game concepts). 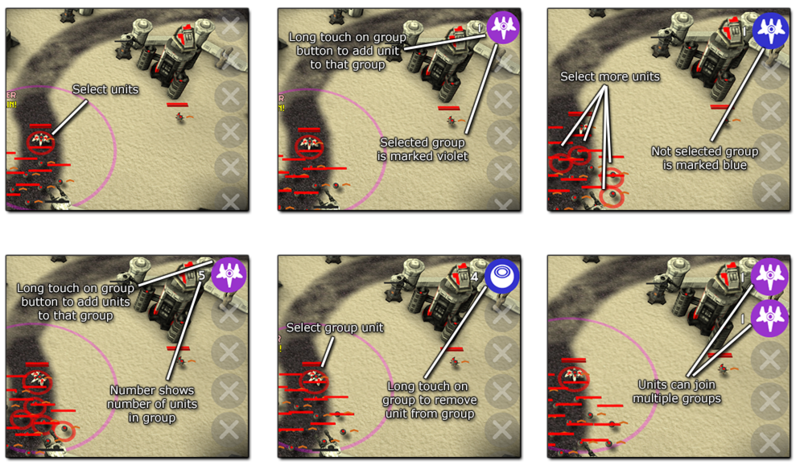 Selected units are then commanded by selecting them and then touching somewhere on the map, other units or buildings. Units are produced by the factories scattered over the map. You don’t have to pay for the construction, but the construction will take some fixed time interval. The HQ produces RoboBrains all the time and vehicle/suit factories require a brain to be inside the factory which is later put into the produced vehicle. You can command a RoboBrain to move into a factory by selecting the RoboBrain and then doing a long touch on the factory. A factory can hold multiple brains which are used in first-in-first-out order. If you don’t want to change the production, just select the X button. 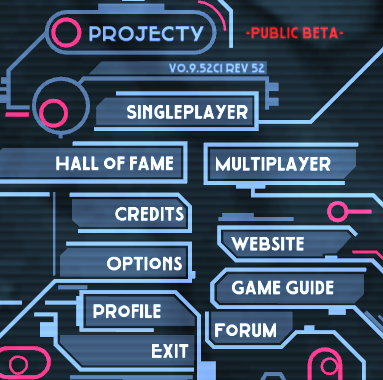 There is a production queue with two vehicles for each production building (displayed as text on the building). When you change the production as described above, the current produced vehicle will not be changed. 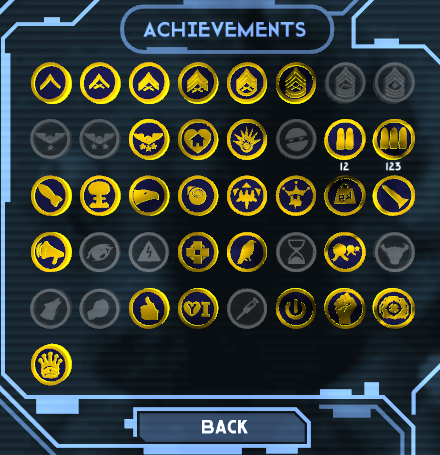 Only the vehicle type queued after the currently produced vehicle type is changed. This prevents the production countdown from being reset. You can command a brain to move into the factory by selecting the brain and then doing a long touch on the factory. The text of the building says how many brains reside inside the building. 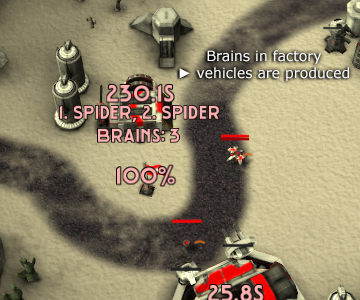 You can put an unlimited amount of brains into a factory and they will populate the produced vehicles in the order you moved them into the building. When a sectors changes its owner, all brains pop out of the factories of that sector. 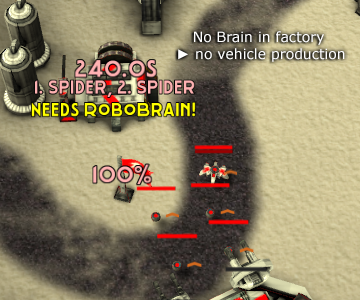 You can remove a brain from a factory by selecting the factory and then touching the red cross button on the lower side of the screen (same as removing a RoboBrain from a vehicle). You can automate the brain assignment task. In the production building menu, select the gear to toogle automatic calling of brains. If enabled, the production building will automatically call the closest available RoboBrain if there is only one or no RoboBrain in the building. To gain influence and increase your production, you have to capture more sectors. Usually you start with the sector which has your HQ and a factory. 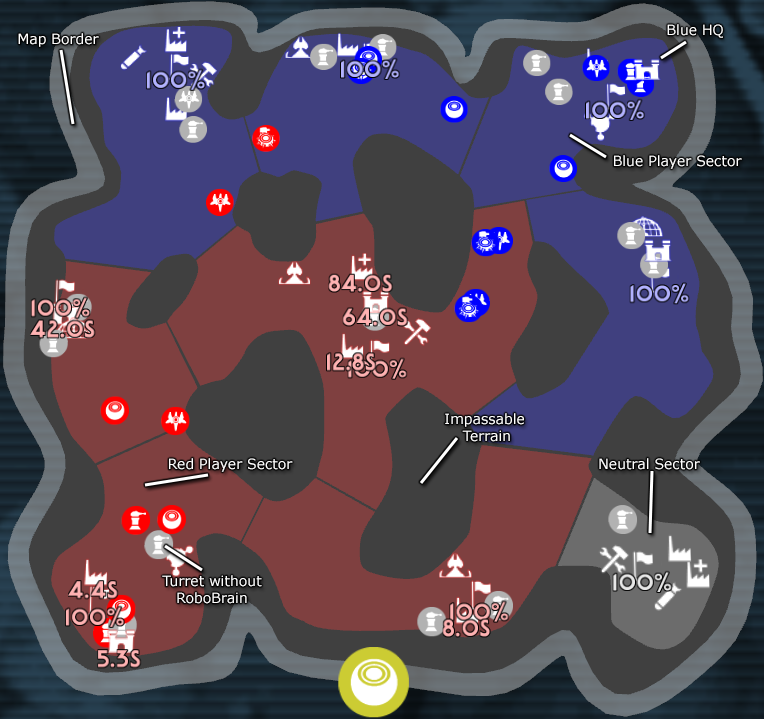 Sectors can either be yours or they are neutral or they belong to the enemy. The flag is the central point of a sector and the flag color shows who owns the sector. The ownership is also shown on the strategic view and indicated by the color of the sector border dots. 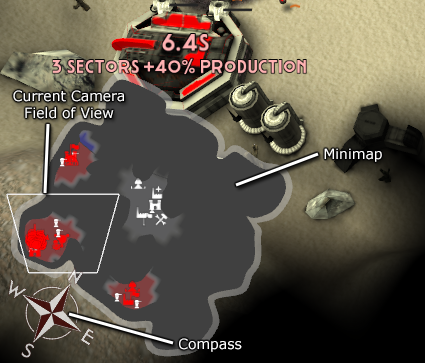 To capture a sector (either neutral or enemy) you have to move with one of your units close to the flagpost. RoboBrains and ThinkerBrains can not capture a sector! As soon as you are close enough, the percent indicator of the flagpost will count down to zero. This is also indicated by the height of the flag. 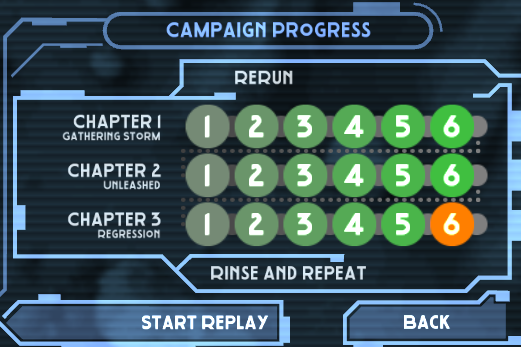 Capturing a sector takes some time and to capture quicker you can send additional units. Each additional unit will improve the capturing rate a little (with decreasing efficency). Usually it is a good idea to not move your units away immediately after you captured a sector but to reinforce the flagpost by bringing it up to 100%. 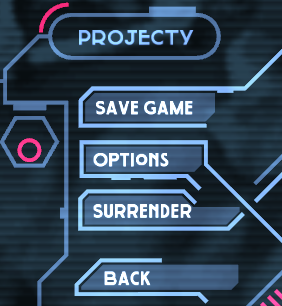 This makes it harder for the enemy to capture the sector (it will take a longer time). One of the key elements of ProjectY are the RoboBrains. RoboBrains have one sole purpose: They act as commanders for vehicles/suits and turrets. 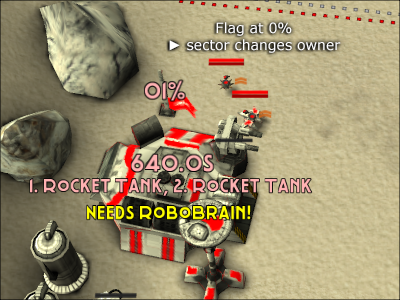 RoboBrains can command any sort of vehicle and they gain experience and can level up (see next chapter). Touch the neutral unit and the RoboBrain will move there and start commanding the vehicle. 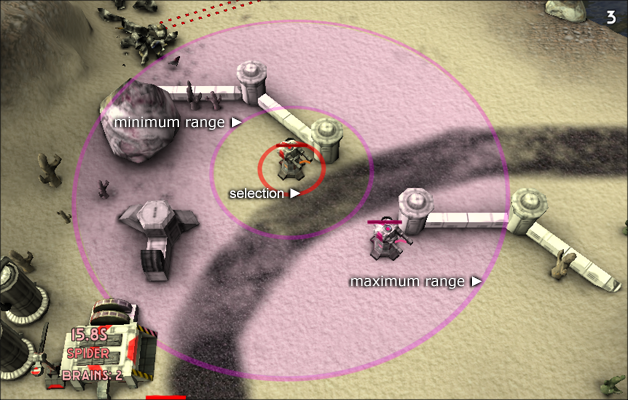 An alternate way is to not select anything, then touch a neutral unit and it will call the closest available RoboBrain. 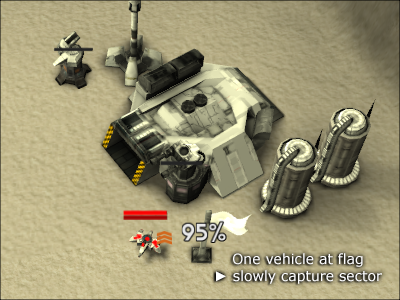 Each time a vehicle with RoboBrain is hit, some damage goes to the vehicle and some damage goes to the driver, with the ratio depending on the type of vehicle (the factor is shown in the unit info screen under “Armor Factor for Driver”). When the vehicle itself reaches zero health it is destroyed. If the RoboBrain still has some health, it will jump out and you should try to move it away from the battle (or quickly enter another neutral unit). RoboBrains popped out of destroyed vehicles will automatically move to your closest HQ or repair facility. When the RoboBrain health reaches zero it is destroyed. If the vehicle still has some health, it will survice and be neutral again. Take care, the enemy can then just overtake that vehicle with an own Robo Brain. This is especially dangerous if it is a powerful vehicle! Take extra care of snipers as they will only hit the RoboBrain inside the vehicle and not the vehicle itself. 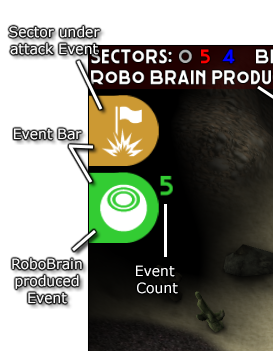 When the XP reaches a certain level, a level up is available for the Robo Brain. Lift the finger to select the upgrade. You can not change the upgrade anymore if you already selected and applied it to the brain! Brains keep their upgrades until they die. You can select the affected unit type with the buttons on the left. 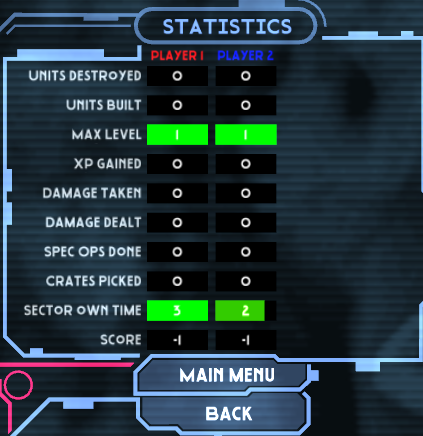 For each unit type you can change how the automated level up selects the stat to upgrade. Setting e.g. the complete probability on one stat (e.g. 100% on range) will force to level up that stat until it is maxed out and then randomly level up the other stats. The sum of probability is always 100%, it just says which stats are more probable to be upgraded during automated level up. The automated level up instantly takes place when a unit reaches a new xp level. 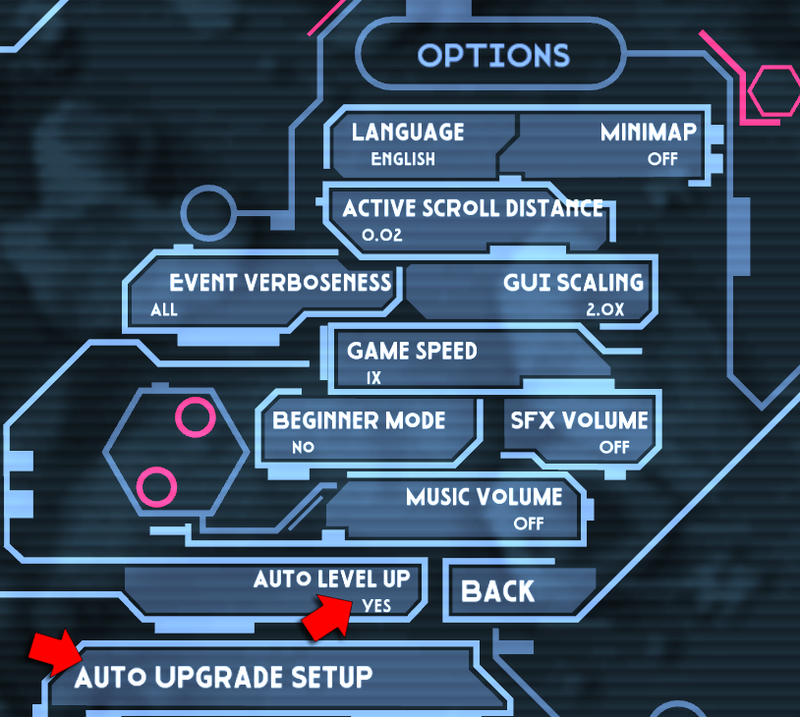 The settings in the auto upgrade setup menu are preserved during game sessions (stored on the device) and allow you to define your personal level up strategy. Battles are fought by units with attack ability. You either command units to follow and attack a target unit or you just leave a unit on watch somewhere and it will attack all enemies coming in range or attacking the unit. 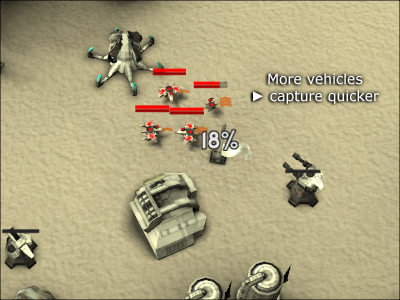 Each unit has a health value, vehicles as well as brains. When a vehicle is attacked, some part of the damage hits the vehicle while another part hits the brain inside the vehicle. There are currently three weapon damage classes: Laser, Projectile and Special. 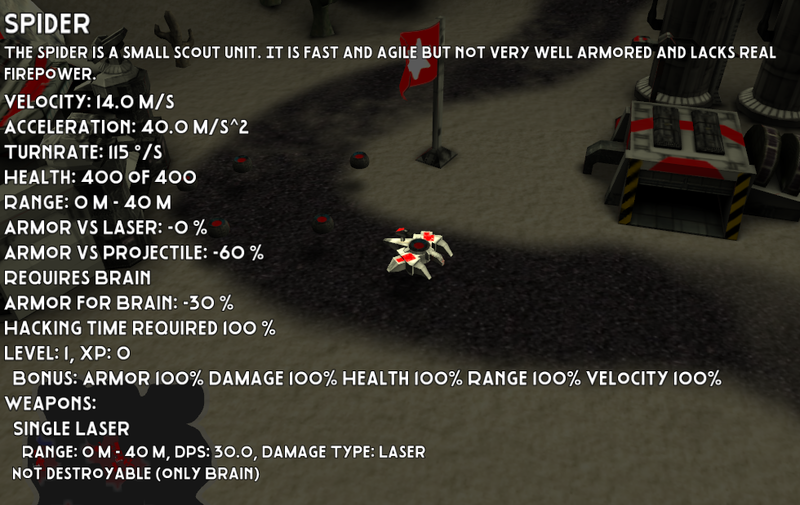 Each unit has two armor ratings: armor against laser and armor against projectiles. Furthermore vehicles have an additional armor value which defines which amount of the damage hits the brain inside the vehicle. The damage is subtracted from the health of the unit. Whenever a units health reaches zero, the unit is destroyed. If the vehicle is destroyed first, the brain jumps out. When the brain is destroyed first, the vehicle becomes neutral. 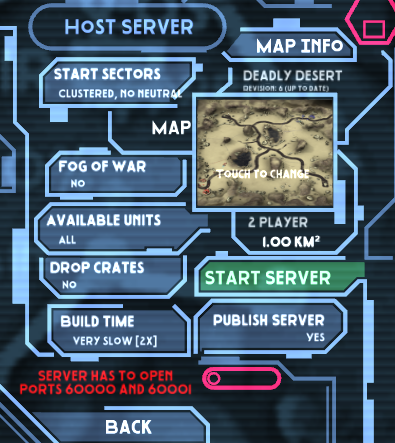 If you enabled it in the game settings or play the campaign, black fog of war will cover the whole map in the beginning. Only the part in visibility range of your units and buildings is shown. 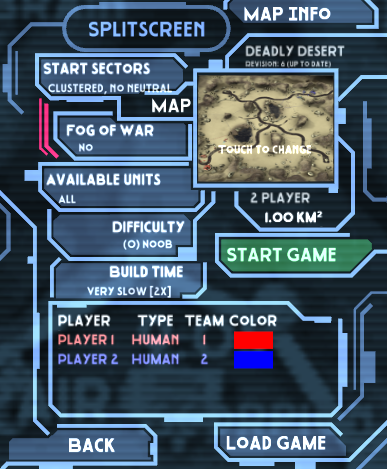 When you move your units across the map, you will uncover the fog of war. The Spotter unit with its UAV is especially good at removing fog of war. Some units have less visibility range than firing range (e.g. the Rocket Tank) and require support by units with increasing visibility range to be able to fire at targets at maximum range. As soon as some area of the map is no longer visible to your units, the fog of war will come back, leaving only the terrain and buildings visible. Enemy units, flag colors and flag percentage and building colors and sector colors are hidden again. You can not target enemy units in fog of war. 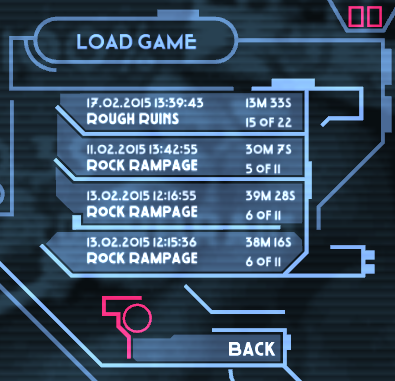 The action bar on the bottom of the screen contains buttons which depend on the currently selected unit or building. Here you can change some game settings. 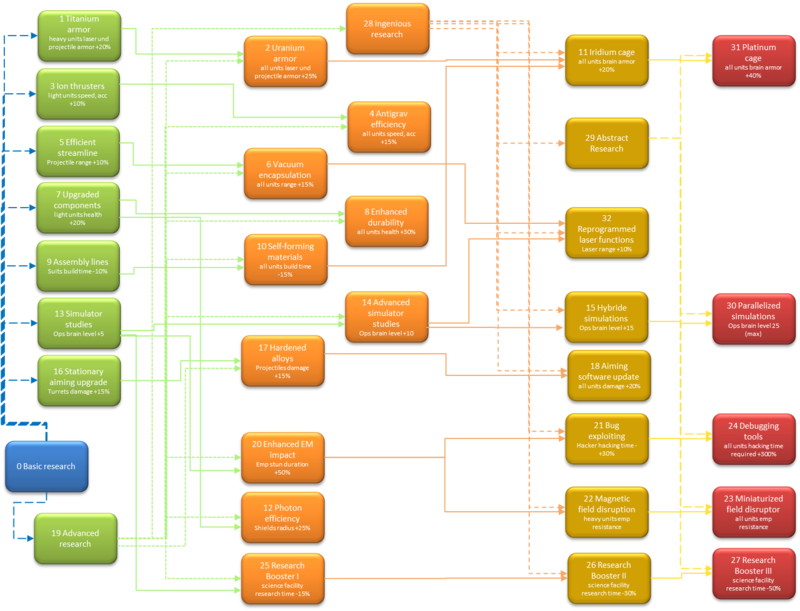 Here you select the automated upgrade path. 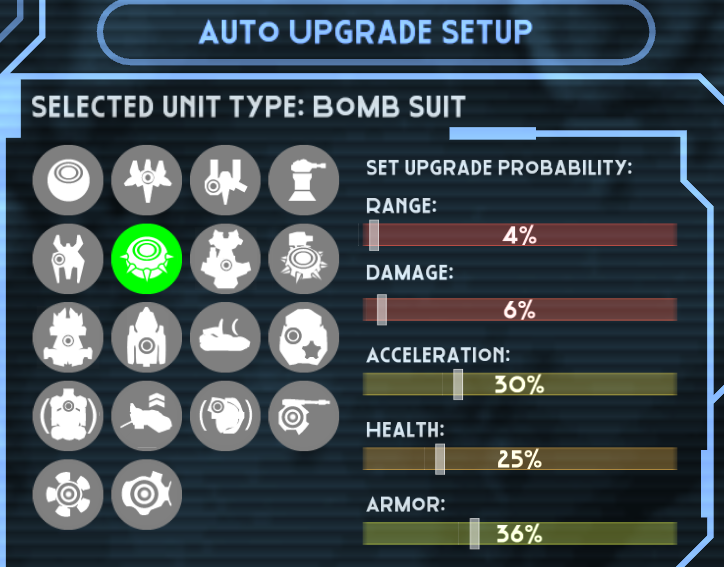 Select the unit type with the buttons on the left and change the upgrade probability with the sliders on the right (described in detail in the auto level up paragraph). 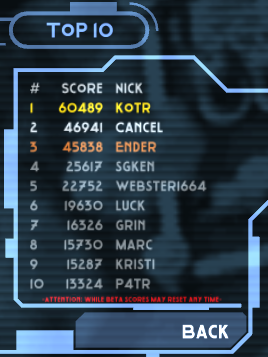 Shows the worldwide top 10 players and their current score. 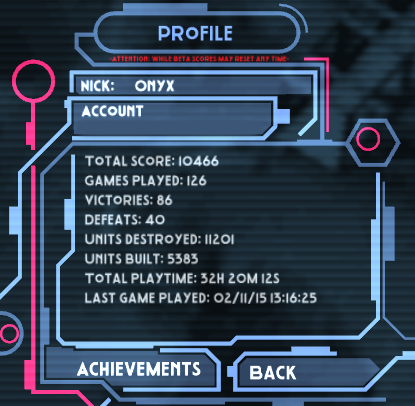 Shows your profile and current stats. 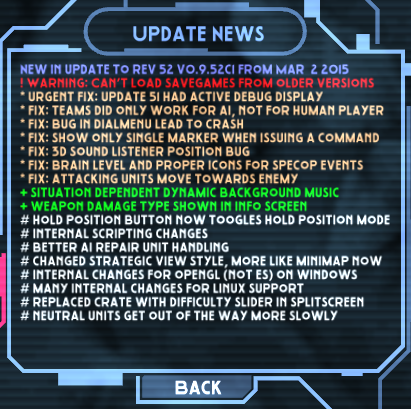 Shows the current version update news. 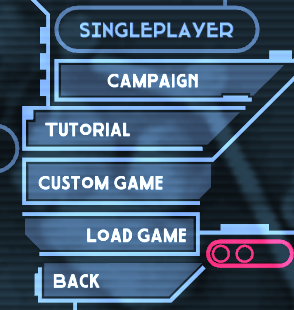 Here you select which kind of singleplayer game you want to play. Here you can start a custom singleplayer game and make game settings. Map: Touching the map text, image or #players or map name will switch the map. If you have not purchased a map it will be shown and you can purchase it (the start game button will be gone). If you purchased a map you have to download it, the Start Game button will change to a download button. Touching the player “Type” will change the player type (e.g. touching “Human” will change it to “AI”). If you only have AI players, the game will play itself with a AI vs AI match when you hit “Start Game”. Here you can load saved games. The tutorial is the place where you learn about the functions of ProjectY. It is a short mission. Here you start/join multiplayer games. Allows to play a splitscreen game where two players can play on one device. Great for large tablets if you sit facing each other. Touching the player “Type” will change the player type (e.g. touching “Human” will change it to “AI”). Allows you to host a server for LAN or Internet games. To play a multiplayer game with multiple devices, one player has to host a game. ProjectY uses a classical Client-Server architecture based on RakNet for multiplayer games. Start Server: Starts the server. To be able to connect to this server, the firewall / router has to open / route ports 60000 and 60001 to this device. Publish Server: Toogles server publishing. If set to “yes” the server is registered on the master server and all players around the world can see and join it. Set Ready! : Toogles your ready state. Player list: Touch your player color to change your player color. Back: Return to main menu (disconnect from server and shutdown the server if you created it). 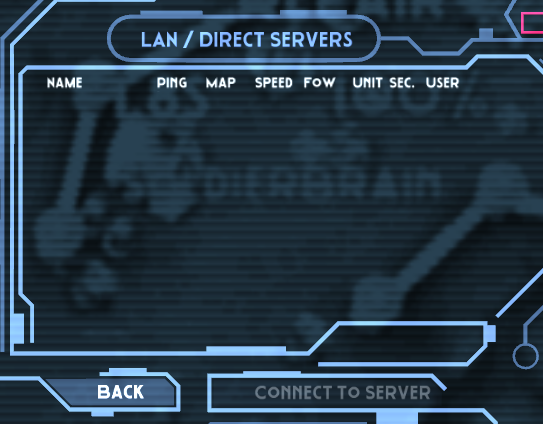 Shows a list of available LAN Servers. Only servers running the same version of the game are listed. Yellow: If you don’t have yet downloaded the map selected on the server you can download it (if you own it). Green: Servers is available and you can connect to it. Red: Server has a connection problem and you can’t connect. 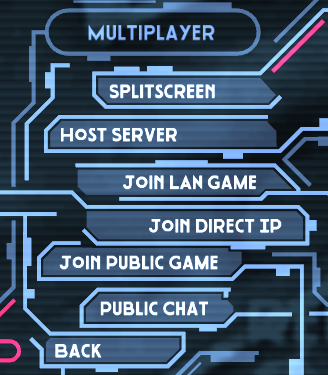 Back: Return to multiplayer menu. Connect to server: Connects you to the server and moves you to the waiting room. Allows you to specify a LAN Server IP (in case LAN Server discovery does not work using the Join LAN Game Menu). Another player has to host a server in the LAN (with “publish server” disabled). 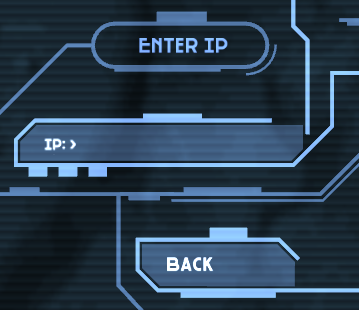 IP: Touch to enter a LAN IP. The game will try to connect to the server and list it if it is available. Shows a list of available public servers. Only servers running the same version of the game are listed (and the server has to have the publish setting enabled). If you touch a server in the list the server is pinged and the color will change. Reload: Retrieves the current public server list from the master server. 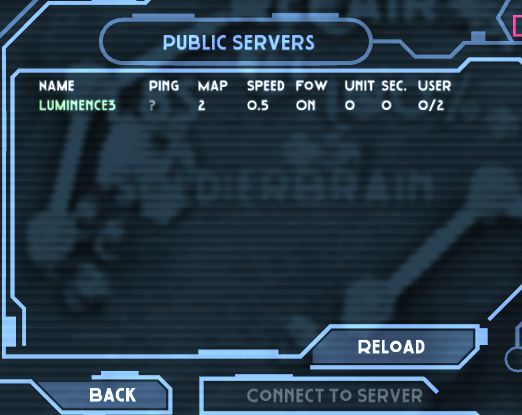 There is a number of servers running which are managed by Luminence Labs for public games. Allows you to save the current game state. You can load it later. Shows statistics for all players. 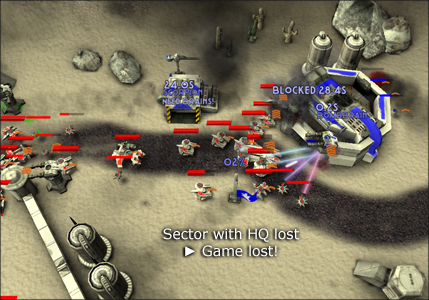 Capture sectors to increase your HQ RoboBrain production speed. Arm and guard your turrets! Turrets do a lot of damage and have huge range. But they have a minimum range so it is important that you have a unit nearby to protect them against units getting to close. Pick the proper turret weapon for each turret. Level and protect your brains! Brains gain experience, you can level them up and you should do that immediately. Don’t lose your skilled brains! The can make the difference between victory and defeat. Try to use training centers to train RoboBrains you do not need in battle atm. Conquering a sector takes time and protecting it binds forces. Pick the sectors you want to own wisely. When zooming out, you will reach a point where the zooming stops. If you zoom out again the view will change to the strategic view. 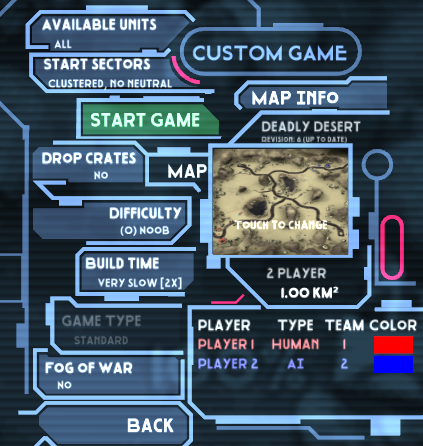 You will see the sectors in the owners color and units and buildings are visible only as colored icons. This gives a quick overview of the current situation. Try to check the strategic view occasionally so you don’t get surprised by the enemy. 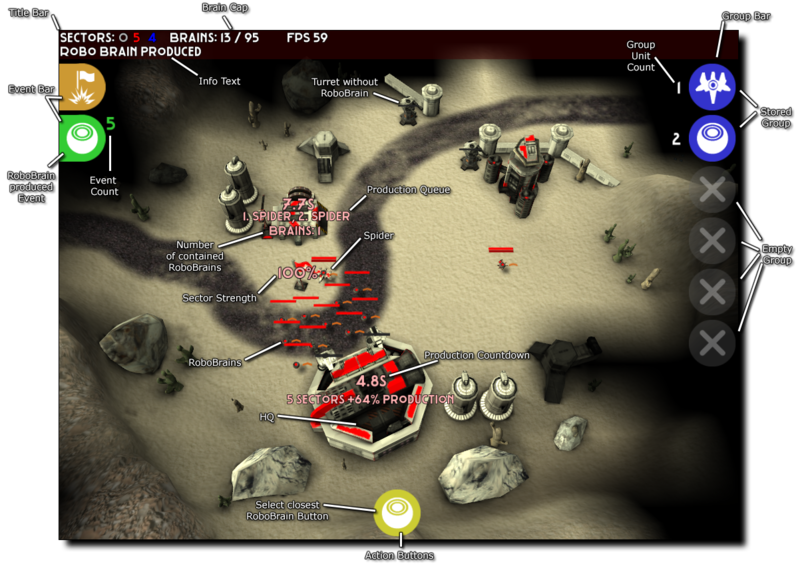 The minimap is shown in the lower left corner. It is not visible during strategic view but shows the same content as the strategic view. You can toggle its visibility and size in the Options Menu. The current camera field of view is marked with a white border on the minimap. Next to the minimap is a compass rose which is really useful e.g. during the campaign. 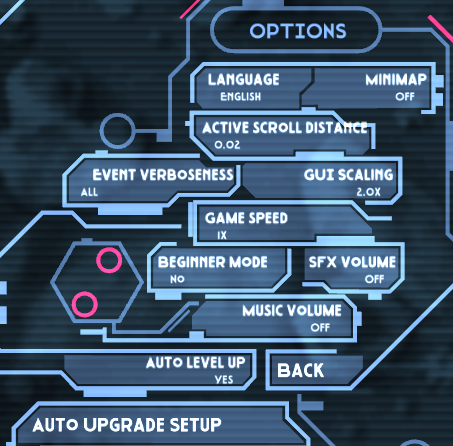 The minimap rotates when you rotate the view (by draging the game titlebar). When you touch the minimap, the camera scrolls to the touched position. It will give you a short description about the unit or building and information about all of it’s features. To dismiss the screen just touch anywhere. Grouping units is very important when you have a lot of them. Without it, it is very hard to manage your army. You should always use groups! Units can be part of multiple groups. Touch long (>0.5 seconds) on one of the group buttons on the right side and the selection will be added to that group. If all selected units have already been in that group they will be removed from the group! Touch long (>0.5 seconds) on the group button of the group from which you want to remove the units. If any selected unit has not been in the group, all selected units will be added to the group! To select a group, just do a short touch on one of the group buttons you used to store a group and all units of that group will be selected. The group button color will change to violet. If you touch the same group button again with a short touch, the camera will scroll to the first unit of that group. Rally points give you the opportunity to automate some tasks. All production buildings have the possibilty to set rally points. When a rally point is set, a unit produced by that building will immediately go to the rally point after it is produced. … empty map position: Set Rally Point to map position. The new unit will move to that position. … a building: Set Rally Point to that building. E.g. from HQ to some production building, then new RoboBrains will directly go to that building. … a unit: Set Rally Point to that unit. The new unit will move to that unit. If the unit is part of a group, the new unit will join that group as well. If the target unit is selected, the new unit will join the selection. … a group button: Set Rally Point to that group. The new unit will join the group. Turrets are fixed defense installations and turrets can not be destroyed! Only the brain inside the turret and the turret weapon can be destroyed! Only the sector owner can use the turrets of a sector. When the sector changes its owner, the brains will be thrown out of their turrets. 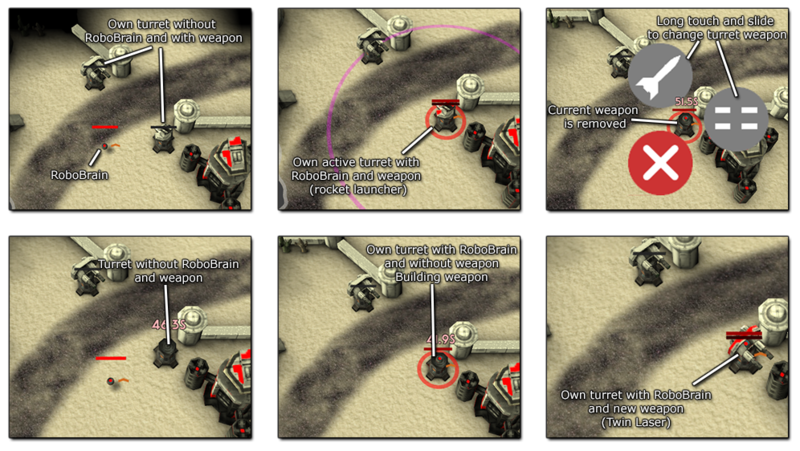 When a turret is attacked, the weapon and the RoboBrain receive damage. When the weapon is destroyed or changed AND and RoboBrain is inside the turret, a new weapon is build (takes some time). A turret without weapon does not provide any armor for the RoboBrain inside. You have to protect it. Some units in the game have the ability to cloak themselves (e.g. Landmines and Cloak Suits). Cloaked units are normally invisible to the enemy. Cloaked units are always visible to teammates. Some units have the ability to stun other units (e.g. the EMP Tank). The EMP Tank EMP wave will hit all units, even your own and teammates. 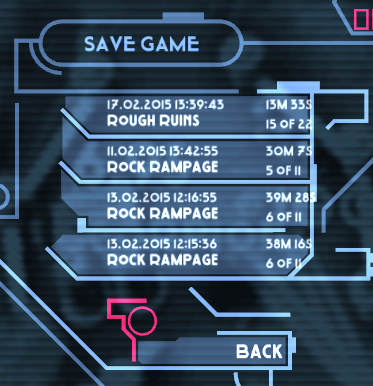 The stun duration depends on the distance to the EMP Tank, the closer the longer. There are units which are EMP resistant (e.g. the EMP Tank itself, the Spider). Stunned units can not move and can not attack. Stun will disappear after a few seconds. The spec ops building offers a variety of special operations to perform on your command. It behaves like a production building which means that a spec op is prepared all the time as long as a RoboBrain is inside the spec op building. You can select the spec op in the same way as you select a unit to produce in a factory. Spec Ops consume a RoboBrain when you place the spec op! The more experienced the RoboBrain consumed, the stronger the spec op. To command this you select the spec op building, then you click somewhere on the map. A few seconds later a bomber will come in and unload mayhem on that area. Three bombs are dropped which will damage all units in that area, either your own, neutral or enemy. The more experienced the RoboBrain, the more bombs are dropped. To command this you select the spec op building, then you click somewhere on the map. A few seconds later a bomber will come in and drop a crate at that position. As it is with crates, you don’t know what’s inside – surprise! The RoboBrain experience has no impact. To command this you select the spec op building, then you click somewhere on the map. A few seconds later a transport will come in and unload a few soldier brains to support your army. The more experienced the RoboBrain, the more units are dropped. 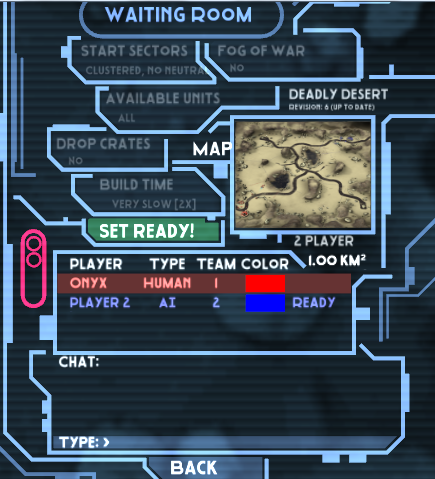 To command this you select the spec op building, then you click somewhere on the map. A few seconds later a bomber will come in and drop a number of mines at that spot. The more experienced the RoboBrain, the more mines are dropped. To collect a crate just get close enough with one of your units! There are two possibilites to repair your units in the game: The repair bay building and the repair unit. Both act in a similiar way: They will repair units in their proximity. The repair bay has a bigger area of influence and a higher repair rate, but the repair unit can move around. A unit which is under repair shows green plus signs floating away from it. The science lab gives you the ability to research different technologies. Technology research is like production. Long touch the science lab to show and select the tech you want to research. 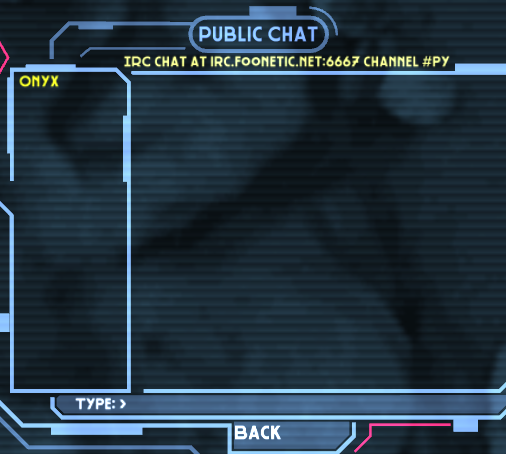 Tech details are displayed in the top bar. To research a technology, a RoboBrain has to be in the science lab. On research completion the RoboBrain is consumed. Techs have global effect and are instantly applied to all suitable buildings/units when researched. Usually units that are attacked try to engage the attacker. If you don’t want that that your units follow the enemy units you can order them to hold their position. If the button is grey, the unit is on watch and will engange nearby enemies and follow them when attacked. 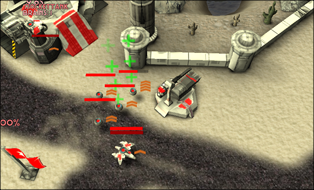 If the button is red, the unit is in hold position mode and will not move, even when attacked. Some units (e.g. the rocket launcher) can not fire their weapon while moving around. To fire they have to stop and deploy their main weapon system. This will take time, so it is wise to use these units only with support. Some units have to ability to hack other units (e.g. the Hacker Suit). The Hacker Suit hacks other RoboBrains, even if they are inside vehicles. When the hacking progress reaches 100%, the other unit changes its owner and now belongs to the owner of the hacker unit. The hacked RoboBrains keeps its XP and Level Ups! This makes the hacker unit very powerful. On the left side of the screen is the event bar. Whenever a certain event happens, an icon will pop up on the upper side of the bar, moving older events downwards. To scroll to the source of the event, just touch the event once. The number next to the event is a counter for the number of stacked events of the same type. E.g. here the 5 means there were 5 RoboBrains produced recently. Some events have higher priority than others. E.g. sector events are on top, production events have lowest priority. You can select which events should be displayed in the Options Menu. 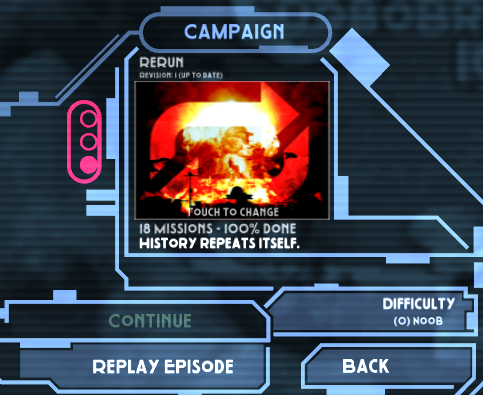 When the game ends (either if you lose or win) the aftermath screen is presented which gives information about the game. The individual entries should be self-explaining. For details check the menu section / statistics above.